Preheat oven to 180ºC (350ºF). Place the sugar, coconut, flour and butter in a bowl and stir until combined and mixture resembles coarse breadcrumbs. Using the back of a spoon, press the mixture into the base of a lightly greased 20 x 30cm slice tin lined with non-stick baking paper. It’s important to press the base right into the edges and corners of the tin so the lemon filling can’t escape down any gaps. Bake for 20 minutes or until golden. Set aside to cool completely. Reduce the oven temperature to 160ºC (325ºF). To make the lemon filling, place the eggs and extra egg yolks in a bowl and whisk to combine. Add the sugar, flour, lemon rind and lemon juice and whisk until smooth. Carefully pour the filling over the cooked base and bake for 30 minutes or until just set. Refrigerate for 2 hours or until firm. 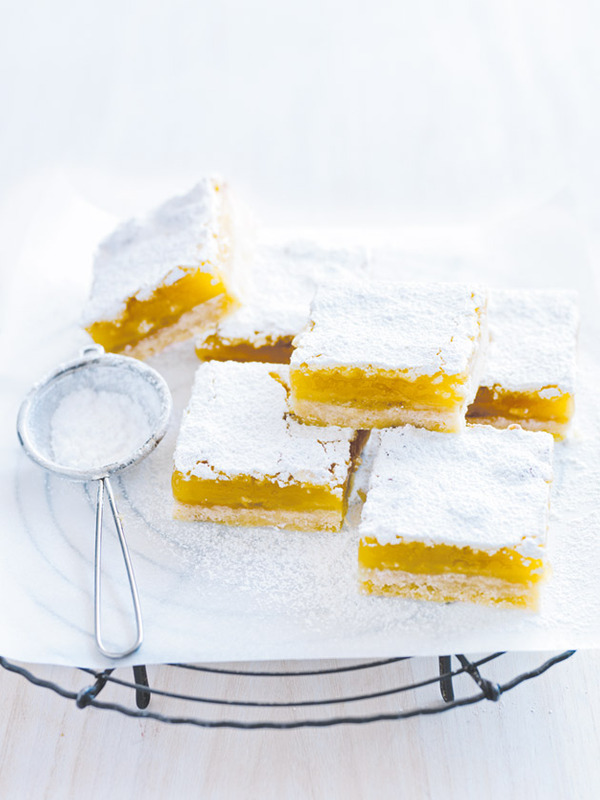 Dust with icing sugar and slice to serve. Serves 8–10. tip: You’ll need about 3 medium lemons to get the amount of juice required for the lemon filling. So refreshing. Tastes like lemon meringue filling. Some might find it a little tart. This might be the most celebrated dessert at the family parties I take it to. Fresh and light and delicious. A must!